If a property was built prior to 1978, a lead-based paint disclosure is required not only by state law, but by the Environmental Protection Agency. It also requires that all parties to the transaction including buyers, sellers, buyer’s agent and seller’s agent sign the document making the disclosure. There is also a pamphlet produced by the EPA to inform buyers and tenants of the dangers of lead-based paint and how it can or may affect those exposed. To view the pamphlet, click here. There are two options to check on the Arizona Purchase Contract. Option one states that information regarding lead-based paint was provided prior to contract acceptance. The buyer then has the opportunity to conduct an assessment of risk or an inspection during the inspection period. The second option states that the seller shall provide lead-based paint information within five days after contract acceptance. The buyer then has five days to cancel the contract within five days after receipt of the lead-based paint information of within five days after expiration of the assessment period. Since this is a required disclosure by the EPA regardless of whether or not the seller has ever lived in the property, buyers will always receive this disclosure, even when purchasing a foreclosure property. 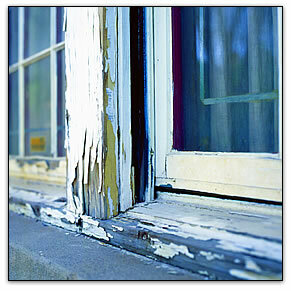 Typically the seller will check the box that states that they have no knowledge of any lead-based paint on or within the premises.